Dr. Christy Russell is a specialist medical oncology based in Los Angeles, California and she is working in collaboration with Keck Medical Center of USC. She got her medical diploma from Medical College of Pennsylvania. She did two residency programs, both of them in internal medicine. 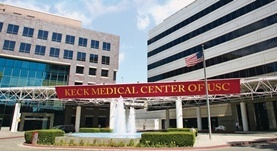 The first one was done at the University of Southern California - LAC+USC Medical Center and the second one at Banner Good Samaritan Medical Center. The doctor is board certified in internal medicine and medical oncology and she has been practicing for more than 20 years. Dr. Christy A. Russell has contributed to 3 publications. Double-Blind Phase III Randomized Trial of the Antiprogestin Agent Mifepristone in the Treatment of Unresectable Meningioma: SWOG S9005. Ji, Y.,Rankin, C.,Grunberg, S.,Sherrod, A. E.,Ahmadi, J.,Townsend, J. J.,Feun, L. G.,Fredericks, R. K.,Russell, C. A.,Kabbinavar, F. F.,Stelzer, K. J.,Schott, A.,Versc...; J. Clin. Oncol.. 2015 Nov 04. Personalized medicine for breast cancer: it is a new day! Russell, C. A.; Am. J. Surg.. 2014 Mar 04. Ductal carcinoma in situ (DCIS) of the breast: Perspectives on biology and controversies in current management. Schmale, I., Liu, S., Rayhanabad, J., Russell, C.A., Sener, S.F. ; J Surg Oncol. 2012 Feb.